Right-wing activist Ken Blackwell, a member of the Trump administration’s “Presidential Advisory Commission on Election Integrity,” joined the folks at “Fox & Friends” over the weekend. If there’s anyone left who doubts that Fox News is functioning as a private-sector propaganda vehicle for the Trump administration, Blackwell’s appearance should clear things up. Blackwell was allowed to declare multiple times without fear of contradiction that the commission’s work is essential to protect legitimate voters from having their votes effectively annulled by someone who votes illegally. But here’s an inconvenient fact that neither Blackwell or his Fox friends acknowledged: the kinds of restrictive voter laws supported by Republicans in the name of protecting election “integrity” are far more damaging to the rights of eligible voters than the nearly nonexistent phenomenon of individual voter fraud. While activists like Blackwell’s commission colleague Kris Kobach waste time and money trying without success to prove that illegal voting is a dire threat to democracy, their restrictive voting laws and procedures actually deny people the ability to cast their vote. 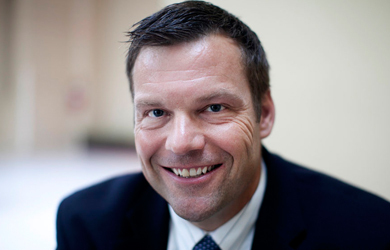 Courts repeatedly found that Kobach’s SAFE Act, which imposed a strict “proof of citizenship” requirement on potential voters and blocked the voter registrations of tens of thousands of Kansans, was violating the law. Blackwell said that the Commission would also be looking at threats to our voting system from foreign interference. It will be telling to see how much time and investigative resources the commission expends on documented Russian meddling in the 2016 election relative to how much it spends trying, yet again, to prove that there is a so-far-invisible wave of illegal voting that justifies restrictive vote-suppressing legislation.